I am a huge believer in Student Voice – I feel that students should own their environment and take charge of their own learning. So for me this inquiry is extremely exciting. The inquiry was not planned and to me that is the most important part. It was student driven and that is exciting to see such real learning from your students. 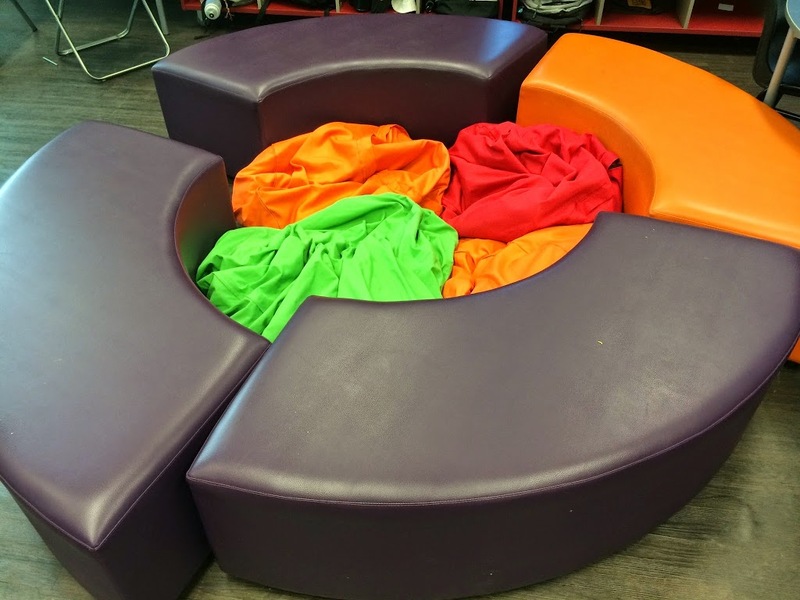 We had been discussing the importance of being an active online user and being a positive digital citizen when the conversation moved into learning environments and we discussed the small and “un-student friendly” (their words) environment that they were currently sitting in. This was all completed in one session and demonstrated the students basic understanding and knowledge of what a learning environment was and what they would like their environment to look like. The next step was to have a detailed discussion about how to find information. We discussed searching the internet, but the students realised they had too many ideas and needed to narrow it down first –> more research gathering was required! We discussed social media and how it works, the students decided that they wanted to try using my Twitter profile to reach their target audience. 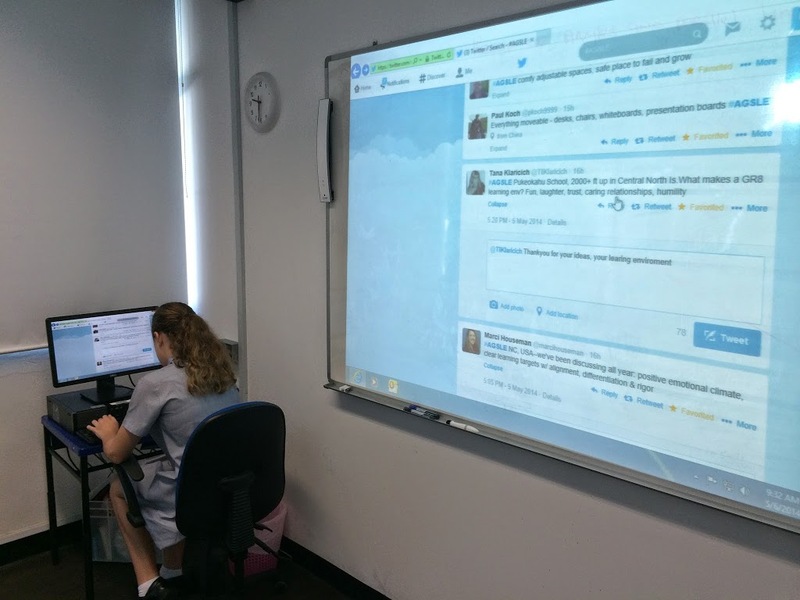 So on Tuesday 6th May the students came running into class with great anticipation – today we were connecting to the Twitterverse!!!! I had my twitter profile loaded up on the interactive whiteboard with the hashtag #AGSLE (School letters + Learning Environment) up on the stream. We discussed a strategy to make it work. Students split into groups and across 4 devices the students put out questions and found information. This kept them engaged for over an hour as they asked questions, responded to educators and classes from all over the world and read links that were shared. It was amazing real-life learning and I was blown away by what they had learnt and discovered and such a short amount of time! 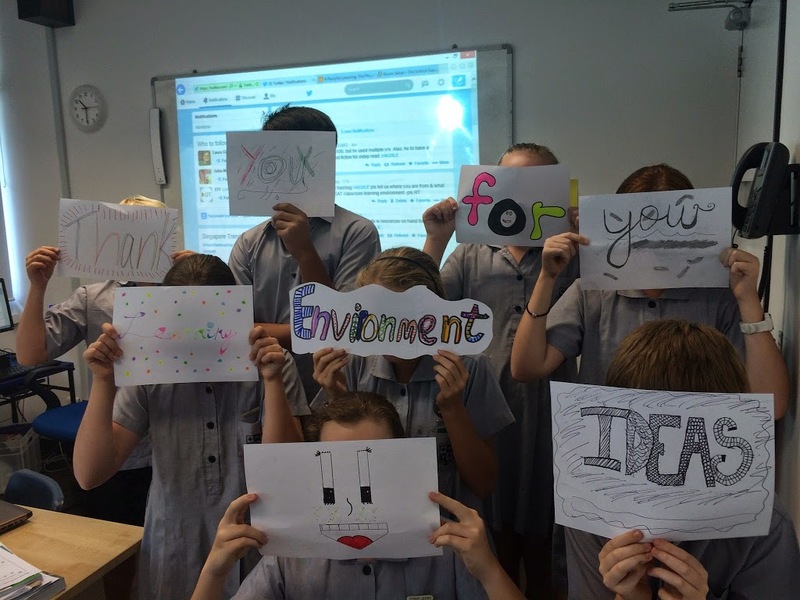 This has all happened over the last 2 days and over the next few days we are going to be exploring the Twitter Stream Story that we made using Storify – https://storify.com/mrkempnz/ags-learning-environment and we will be analysing all of the messages and information to come up with a clearer idea of what we want our environment to look like. They will be taking photographs of the current environment and putting together an idea of what their ‘ultimate’ environment might look like. Stay connected, follow this blog and connect with me via twitter – if you are an expert in this area, have a contact for someone or have a class of students interesting in joining our journey please contact me and we can organise some collaboration. We would love others to join us on this exciting journey. 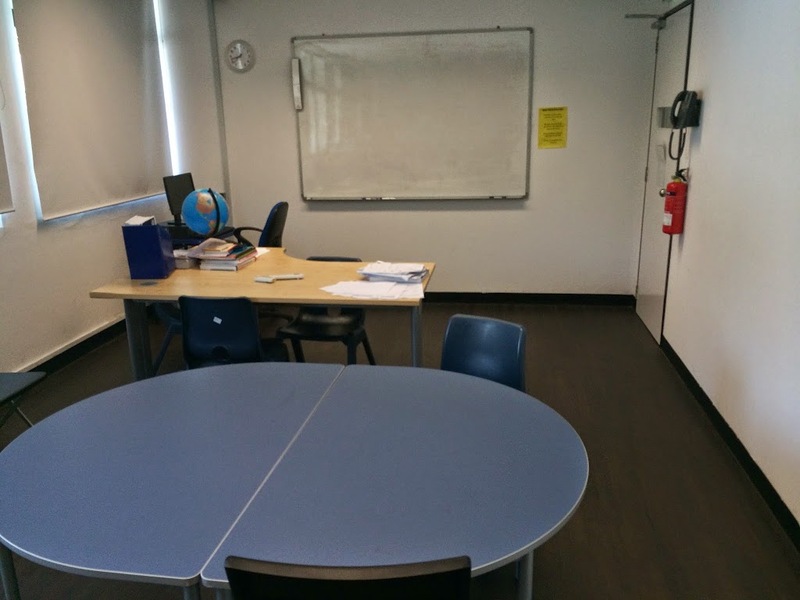 Here are some images of our Learning Environment to date …. It is amazing what we can learn when we listen to student voice! Thank you for giving your students an authentic voice, and thanks to the students for the great ideas! Thanks for sharing this in our #globalclassroom chat today. I look forward to following your posts.